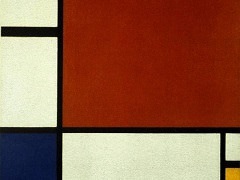 With the two compositions of 1919 that have been given e title Checkerboard, one in light and the other in dark colors, Mondrian turns from his experiments with a geometrial subdivision of form to similar experiments with color. 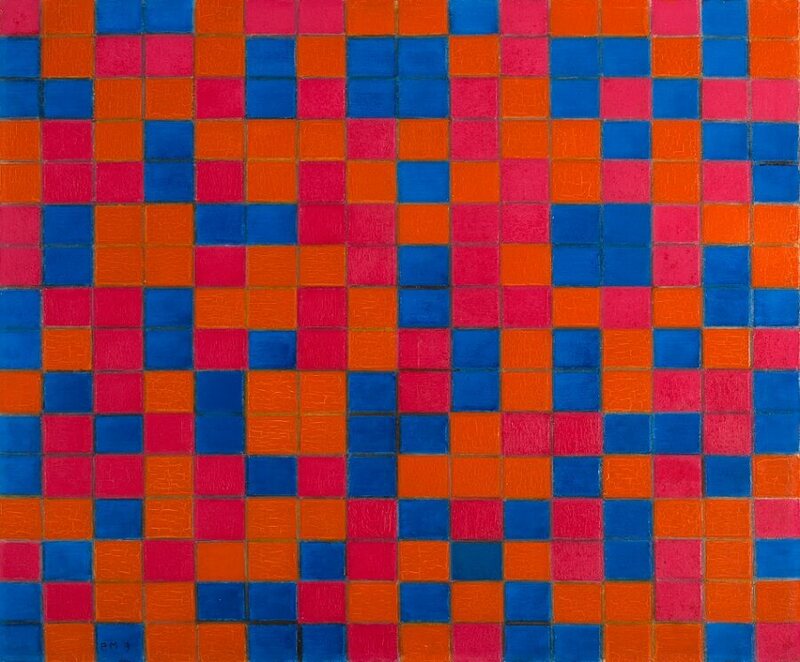 In both compositions a rectangle is subdivided into 16x16 small rectangles, each of which has a proportions of the canvas as a whole. 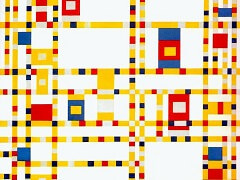 By this procedure completely regular geometrical pattern is produced which serves Mondrian as the foundation for his rhythmic composition, created by means of color variations. 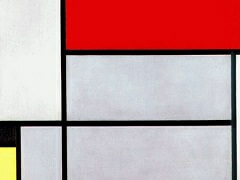 By painting several adjacent rectangles the same color but keeping the linear pattern distinct, Mondrian achieves, in other way, a rhythmic action that traverses the grid like a musical rhythm flowing over the bar-lines. 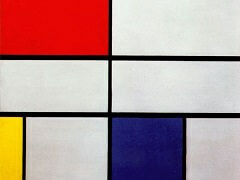 In the Checkerboard, Dark Colors Mondrian works in the me way, with tints of red, purple, and blue. 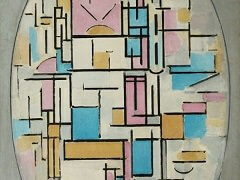 Typical for the paintings is the manner in which the artist seems to have determined the color for each little rectangle by tuition and experiment. 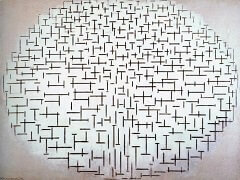 The paintings are not by any means executed according to a preconceived idea. 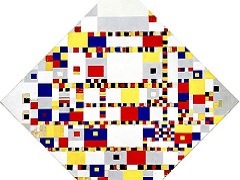 The linter let himself be guided by his feeling for color and rhythm, and he made alterations and corrections as he worked; overpaintings to change the colors of some of the areas can still be detected. 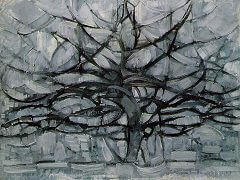 The skilled treatment and masterly balance of the canvases are the result not of a theory it of almost thirty years' experience as a painter.